From the impressive performance of Senator Bernie Sanders to businessman / combover specialist Donald Trump's bewildering rise to presumptive Republican nominee, the 2016 presidential primary has been anything but dull. And we may be in for another big surprise going into the general election, as third-party candidates stand to have greater opportunity than usual. Will Jill Stein and Hillary Clinton debate? 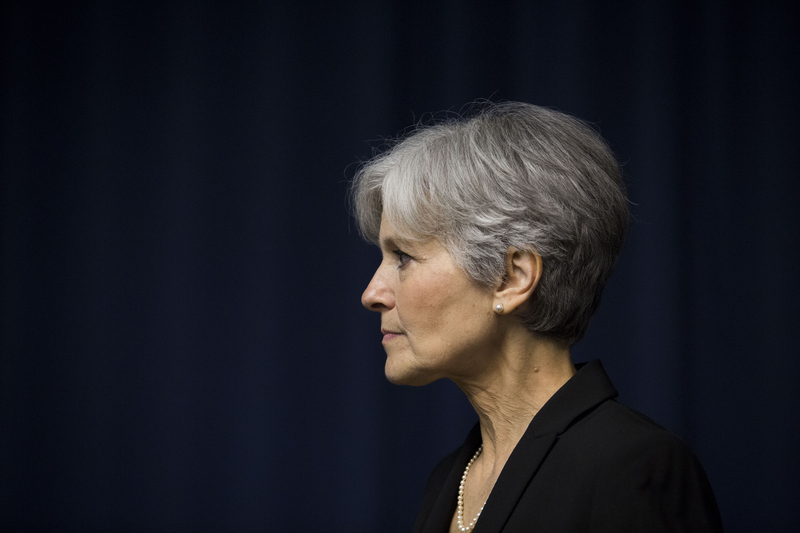 It's highly unlikely that Stein, the presumptive Green Party nominee, would debate Clinton one-on-one. But Stein could qualify for a presidential debate with both Clinton and Trump. Being on the left of the political spectrum, in such a situation, Stein would primarily be pitting her policies against Clinton's. But recent polls, along with the current political climate, give us reason to believe it's not too much of a long shot. Stein is averaging 4.4 percent in four-way matchup polls between herself, Trump, Clinton, and Libertarian candidate Gary Johnson over the past month, reported Real Clear Politics. The most recent CNN/ORC poll put her at 7 percent. As far as third-party candidates go, Johnson has the edge, averaging 7 percent. In polls without Stein in the mix, he fares better, averaging 9 percent. But we should keep in mind that Trump was declared the presumptive Republican nominee long before Clinton, and the Libertarian Party has already officially nominated Johnson. The political climate going forward could favor Stein. As her nomination grows imminent and Sanders supporters move on from his campaign — though some of them don't seem willing to do so until after the Democratic National Convention in July — Stein's progressive politics will likely draw more attention and support. If Johnson or Stein made it to the general election debate, it would be the first time in almost 25 years that a candidate not from a major party has done so. Independent candidate Ross Perot was the last to earn such a podium in 1992. Lack of visibility is one of the primary obstacles third-party candidates face, and getting in on a presidential debate would be huge for either candidate. It's possible that having Stein on the debate stage could influence Clinton. Sanders' presence in the race has notably shifted Clinton to the left on several issues. Stein could cause her to continue to do so throughout the general election. Stein's goal, however, would be to draw progressives to her side, rather than make the Democratic Party and its candidate more amenable to them. Access to the presidential debates is by no means in the bag for Stein. But a Stein-Clinton debate (featuring cameos from the combover specialist) could happen.